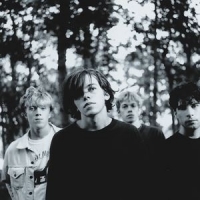 Ride are an alternative rock band from Oxford, formed in 1988 who initially split in 1996. They released their debut top-20 album "Nowhere" in 1990, followed by the top 5 albums "Going Blank Again" (1992), "Carnival of Light" (1994) and 1996's top-40 album "Tarantula". The band reunited in 2014, featuring original members Andy Bell, Laurence Colbert, Mark Gardener and Steve Queralt.